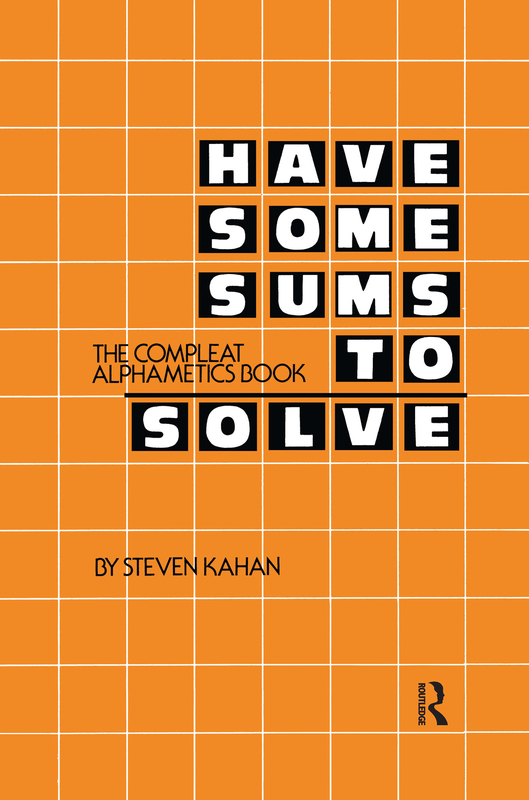 This book presents a challenging diversion to mathematics enthusiasts. Divided into three sections, the author gives some historical notes, a step-by-step solution of a sample alphametic, and some general hints on the solution of alphametics. The Puzzle Section contains both the ideal doubly-true type of alphametic and the narrative type presented in the context of a brain-teaser. Directed Approach Section provides instructions to help find the solutions of every alphametic in the book. Solution Section gives the solution to each and every alphametic and answers questions raised in the narrative examples. Problems vary in degree of difficulty to tease even an expert.